I'm so excited to share a REVOLUTIONARY new product with you today. 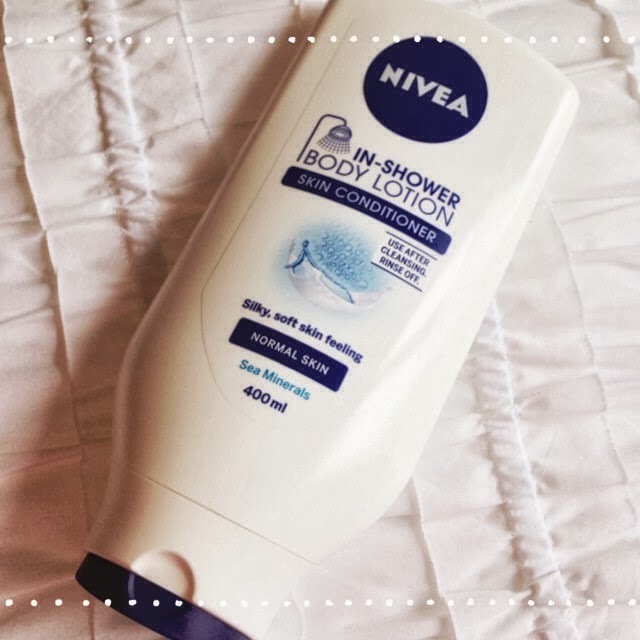 Last month, NIVEA launched it's brand new In-Shower Body Lotion and since then I've been trialing it for review purposes for you. This product takes all the hassle of body moisturising out of your routine. You simply wash your body as normal in the shower, then apply it afterwards (to damp skin) and then rinse off. So simple. It's important to note that this product does not replace your usual shower gel, it is not a body wash, it's a body moisturiser. Just like you cleanse first and then moisturise your face, it's the same with your body. I really was skeptical at first. I couldn't get my head around the fact that it was going to moisturise me, but then I was rinsing it off. However, the formula is actually absorbed when your skin is damp. 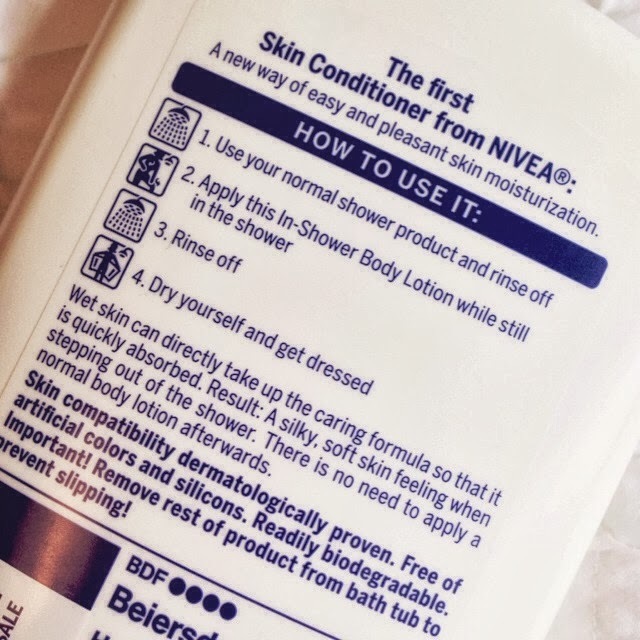 I was impressed that my skin felt moisturised after I washed it off and then further surprised that it still felt soft and hydrated after I vigorously rubbed myself with a towel dried myself! The beauty is that it is so quick! You know what normal moisturising is like, especially if you use a thicker product like me... It takes forever. I don't even know a single person who can successfully moisturise their own back, but you can with this product. Because everything is slippery and you don't need to rub it in very much, you can do your whole body in about 30 seconds. About eight times faster than doing it when you're dry - trust me. I used the formula for normal skin, but next time I might try the one for dry skin seeing as I normally like to use something thick. This one was perfectly hydrating enough though, and I liked how I could just get dressed as soon as I was dry, no waiting around for sticky formulas. All of my friends that I've converted to this new way of moisturising have reported back that they love it too. At only about $9.50 for a whopping 400ml, it is definitely value for money. P.S I'm in the process of writing a big update post, so many things have happened since I last blogged, including something very exciting! !